Olive trees are known for not only their fruit but also the spectacular structural shapes they can become once they mature. 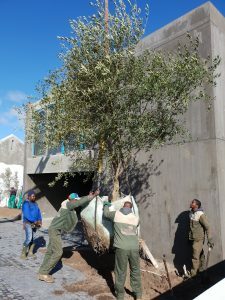 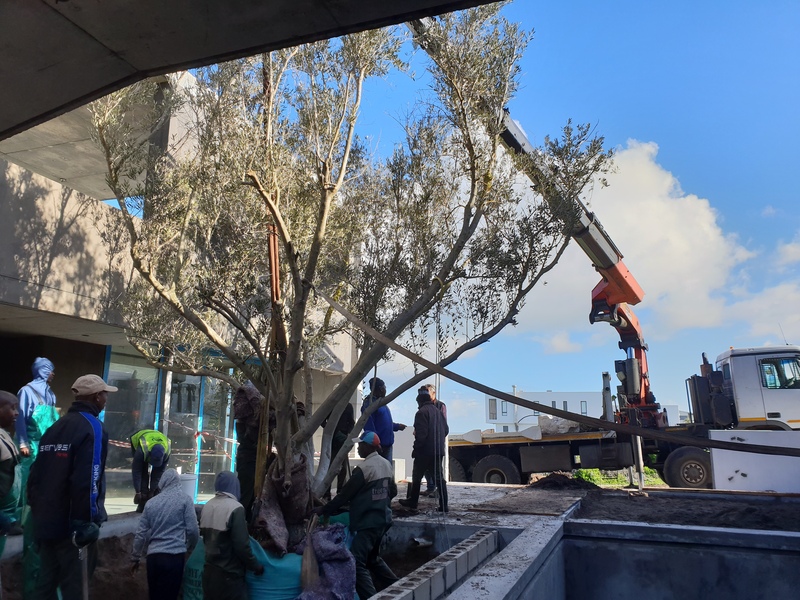 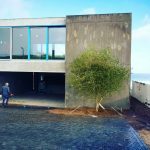 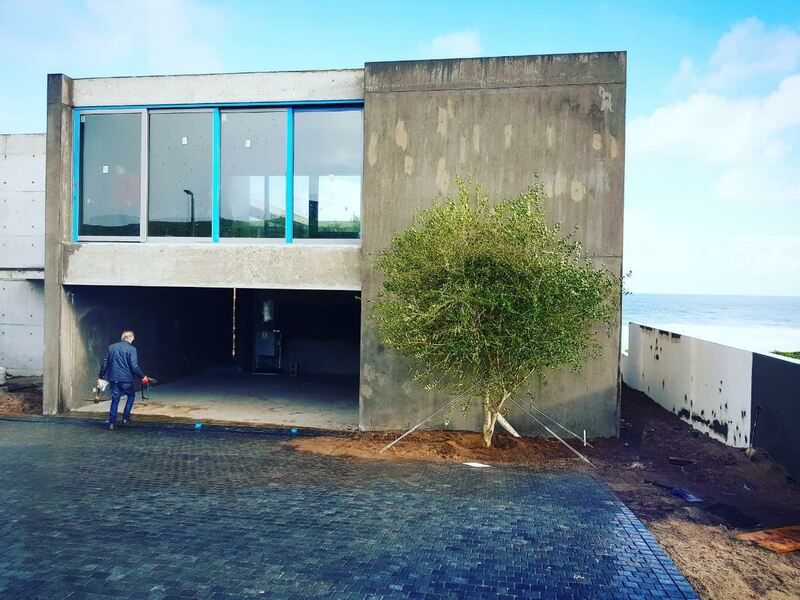 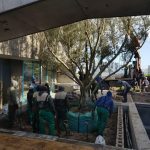 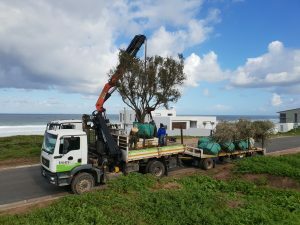 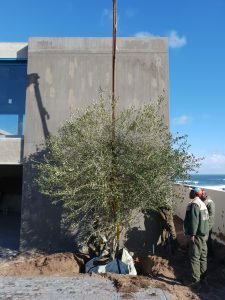 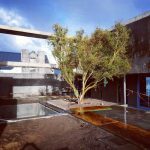 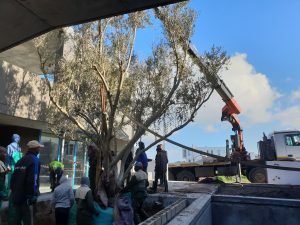 Our client had a long-term dream to have a beautiful olive tree in their guest house one day, which will be the main focal feature. 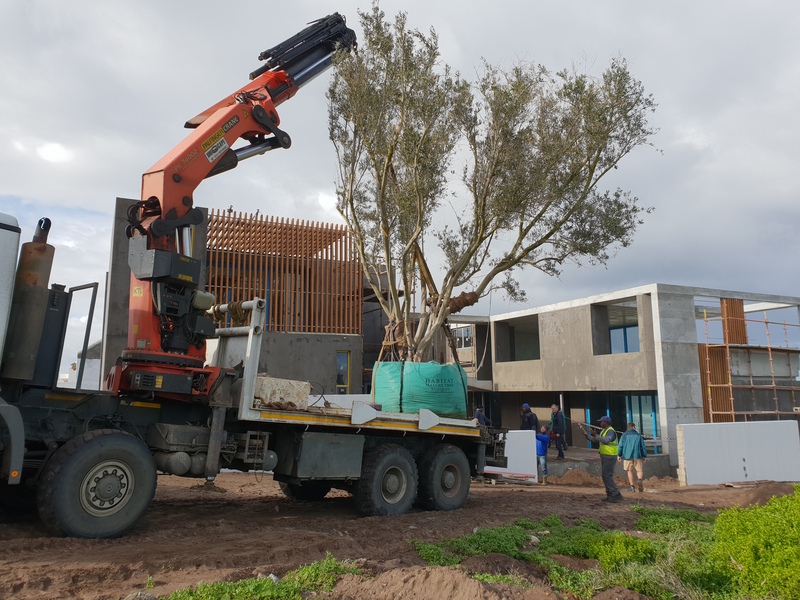 After contacting us in 2017, we went on a search for the perfect specimen tree to fulfil this dream. 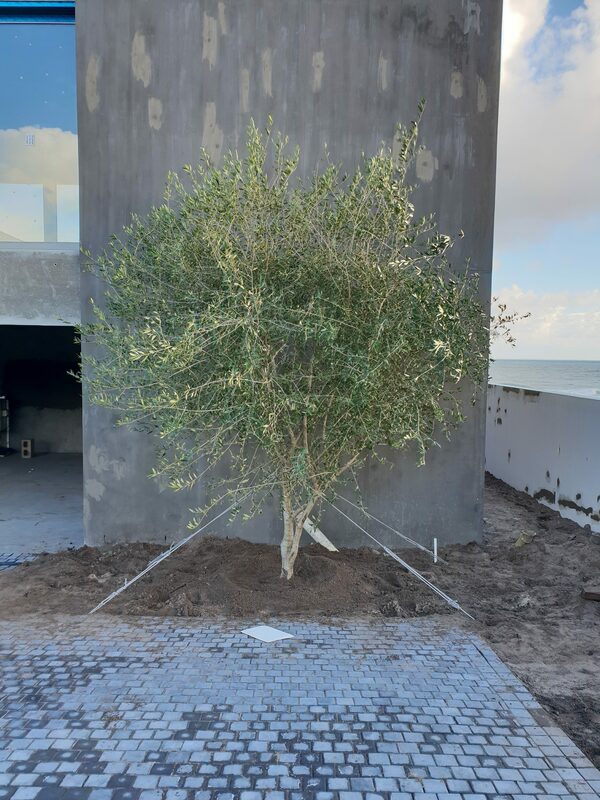 A year went by until we found a stunning fruiting Olive hiding away at another nursery. 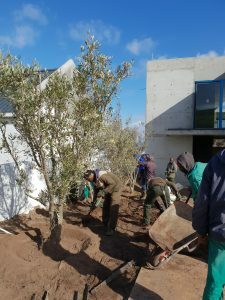 The planting date was finally set in July 2018 and off we went to plant 23 trees! 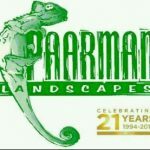 Greeting us at the house, was Clayton from Paarman Landscapes, who was ready to do some serious planting for the day. 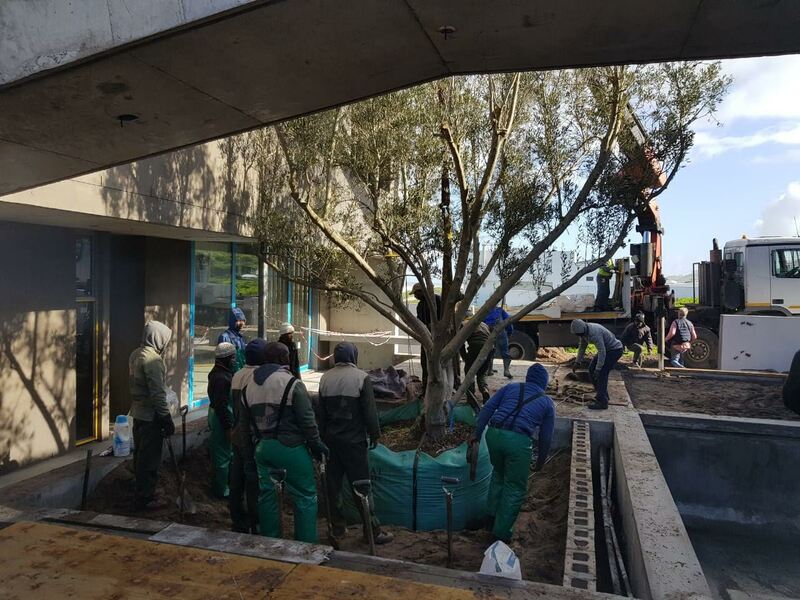 From organising planting holes, to doing all the landscaping for the client, to finishing off the final touches to the planting, we couldn’t have asked for a better team. Have a look at our gallery for some of the stunning photos taken by Clayton on the day. 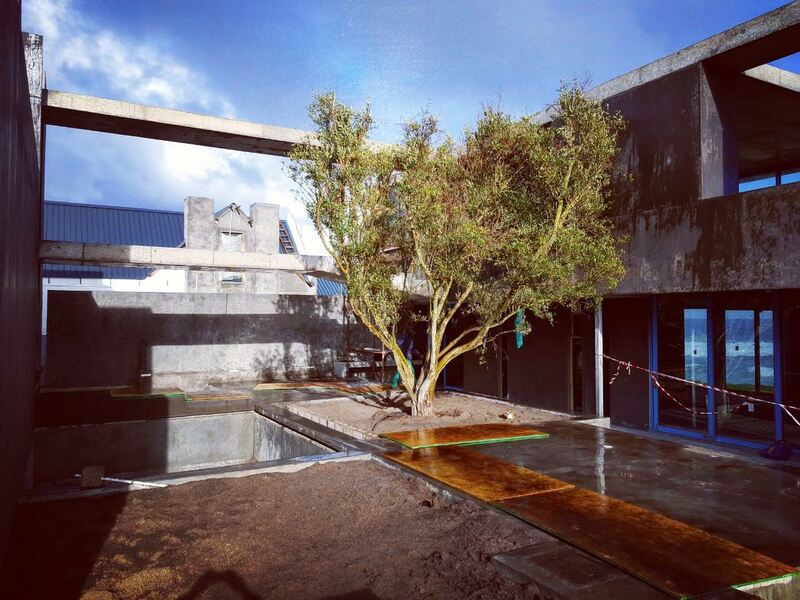 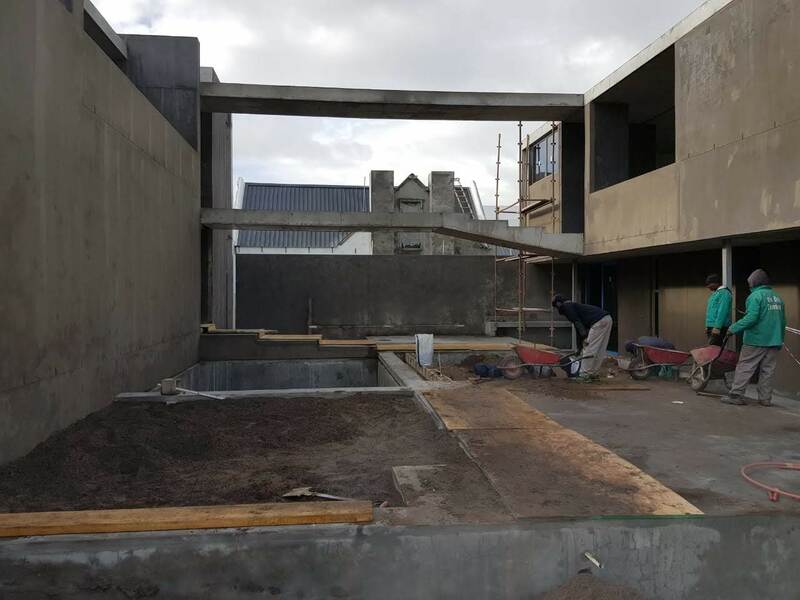 We can’t wait to see the final product once the landscaping is complete. 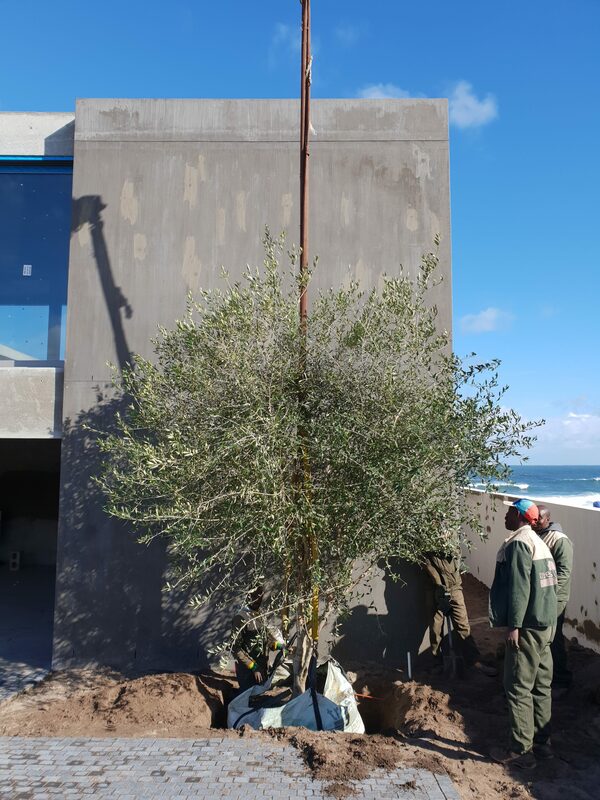 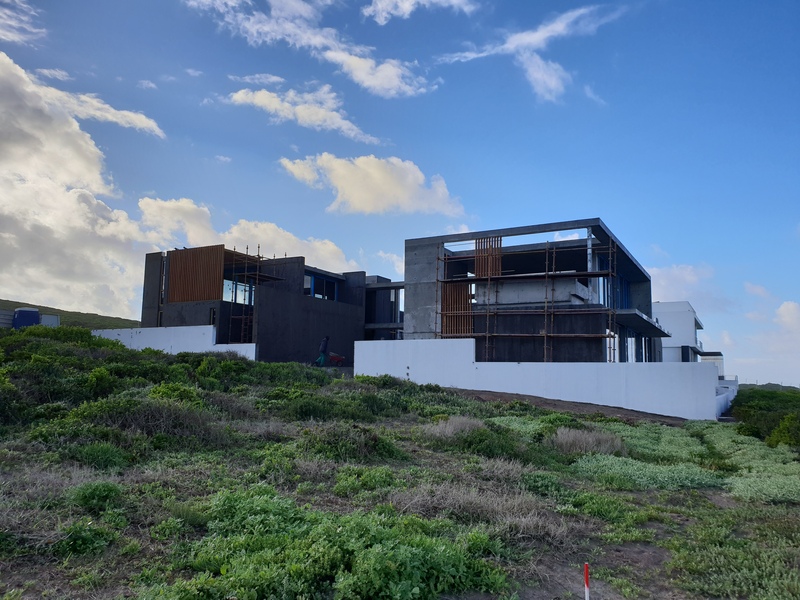 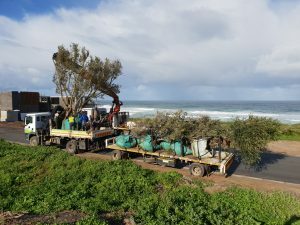 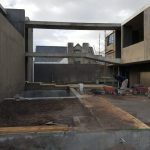 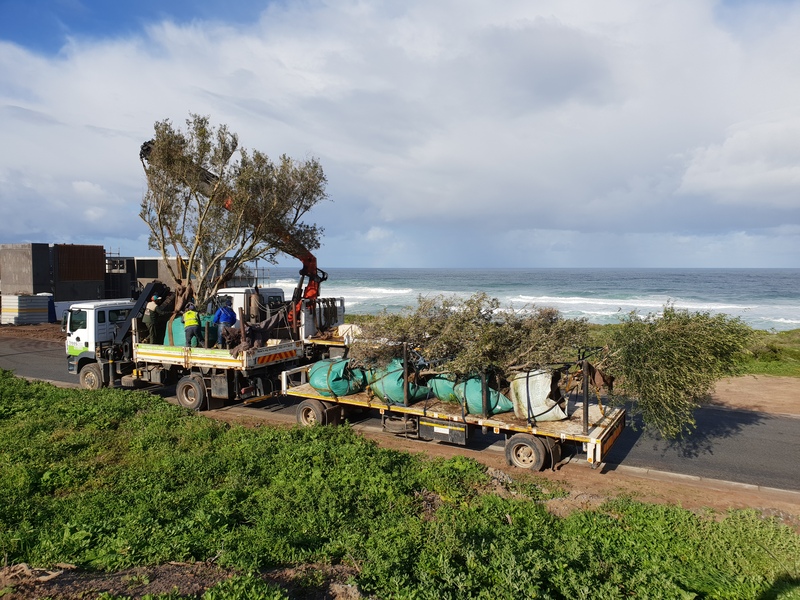 Tricky sand dunes and long reaches to the courtyard required some serious crane work manoeuvres but the stunning sea views of the West coast kept our spirits high as we planted trees all day. 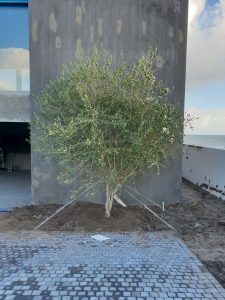 “Peace puts forth her Olive everywhere”. 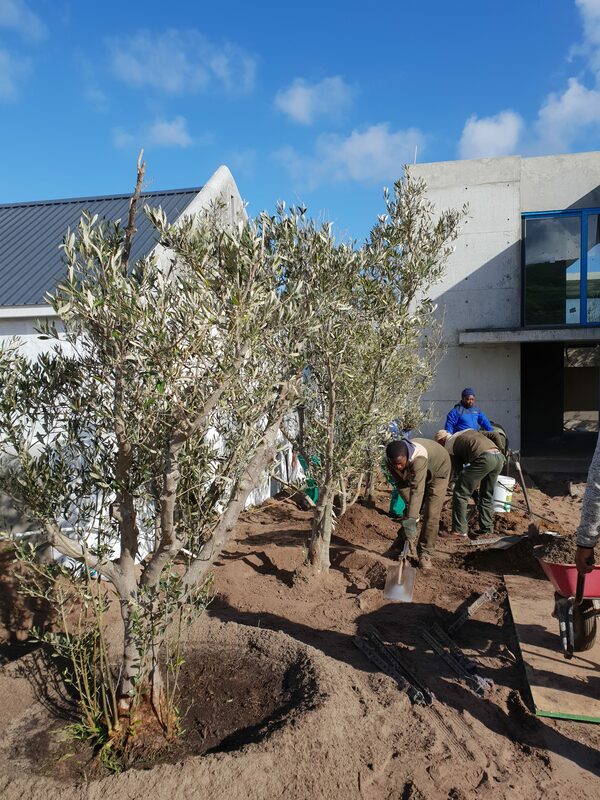 The name of the guest house will be called “The Olive”.